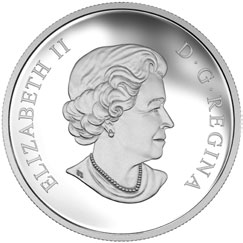 1-ounce, 99.99% pure silver coin! 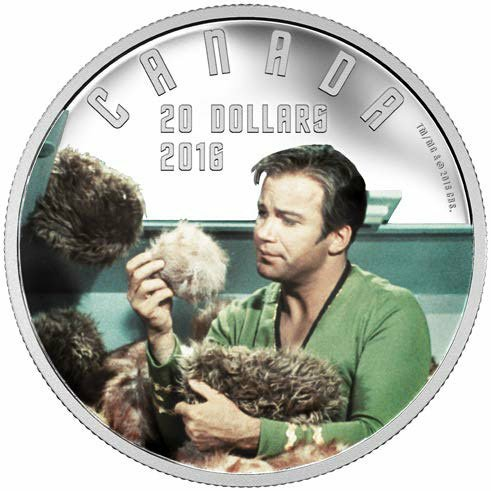 Past, present and (fictional) future meet in an exciting design: Cutting-edge engraving and finishing technologies recreate the image of Kirk half-buried in Tribbles, while the Star Trek font adds an authentic vintage feel. Your purchase is protected by The Dublin Mint Office 14 day “no quibble” return guarantee. 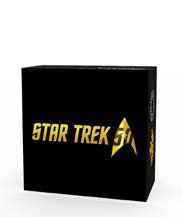 The reverse design recreates a key scene that has remained a fan favourite, even beyond the Star Trek community. Selective colour brings to life the engraved image of Captain James T. Kirk (portrayed by Canadian actor William Shatner) in his green Starfleet uniform. He stands half-buried in a pile of small, furry creatures known as Tribbles, which have fallen out of an overhead compartment.